In the course of my week, I have the opportunity to give a Spanish class to the kindergarten class at the Schuylkill Center. I honestly can’t hide my happiness when I enter the classroom and see children eager to practice and learn new words in Spanish—words that they use every time when they pass by me in the hall. I am amazed at the speed and retention that a child of four or five years has when learning a new language. Ideally, I believe kids should start learning a second language from an early age—they can carry the interest and skills with them for the rest of their lives! It is important to know that more than educators, we also serve as role models for many of the students with whom we work. I am Latino and I am proud of being Latino. 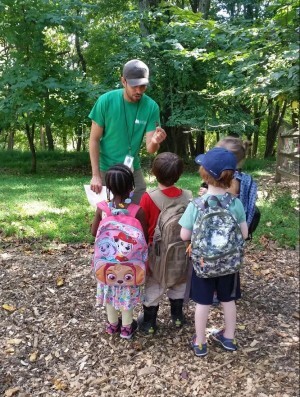 Just as we expose children to nature and different environments, as teachers, we can also expose them to different cultures and backgrounds. This is all in the effort of inspiring curiosity, respect, and compassion for our diverse world, nature, and culture. I am proud that we seek many ways to do this at the Schuylkill Center. When they find out their kids are learning some Spanish, many parents tell me “I wish I could speak Spanish!” There are easy ways you can support your children to help their learning, even if you don’t speak Spanish yourself. 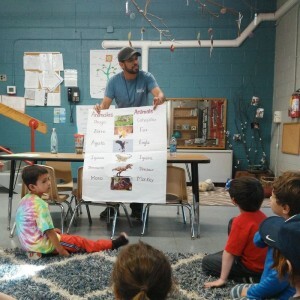 Here’s a fun and easy activity you can take home to show your child that you encourage them to learn and use Spanish combined with nature! Choose a few plants—you may already have them in your house, or you may go out and buy them to start your jardín (garden) from scratch. I suggest choosing three different types—maybe a cactus, a flower, and something edible, like basil. Label the plants in Spanish and English (I like cactus because it is a cognate). Whenever you work on your garden, do it in Spanish! You can talk about the parts of the plants, the color of the flower, if the plants need sun or water, or if you are going to eat a bit of your edible plant! Find an easy vocabulary list is below. Don’t worry, even if your basic Spanish isn’t perfect. The idea is to show interest along with your child—who may even teach you some words or pronunciation! This is a living, breathing, evolving way to use some Spanish every single day at home. 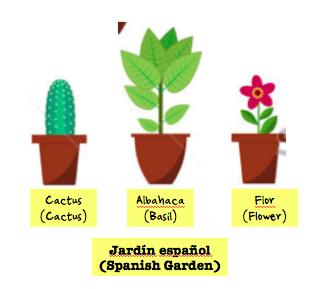 Watch your garden grow along with your child’s use of Spanish. If you want to share your Jardín de Español with us, you can comment below, email us a picture, post photos to our Facebook page, or tag us on Instagram or Twitter and hashtag #jardíndeespañol! How is the soil? ¿Cómo está el suelo? How is the plant? 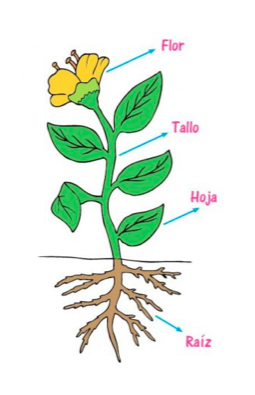 ¿Cómo está la planta? Does the plant need sun? ¿La planta necesita sol? Is the plant growing? ¿Está creciendo la planta? 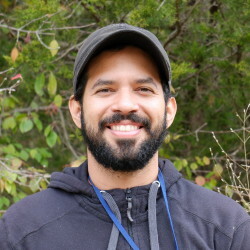 Eduardo Dueñas first became involved with the Center as a volunteer before working full time with guided environmental education and after school groups at the Schuylkill Center. Ed has a master’s degree in Environmental Management and Sustainable Development, and used to be a classroom teacher. He loves to work with children of all ages and also does community outreach programs for the Center. 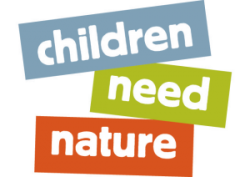 This entry was posted in Children Need Nature, Education, Nature. Bookmark the permalink. Nature is a gift of god..children need to be play and bought with nature.. They used to breath fresh air nor inside the life in a apartment.. They need to learn about plants trees and the importance of nature..
i truly agrees with this post.